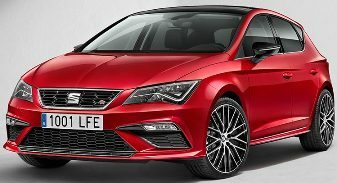 Seat Leon FR Car Leasing Deals, Leon Personal Lease UK. 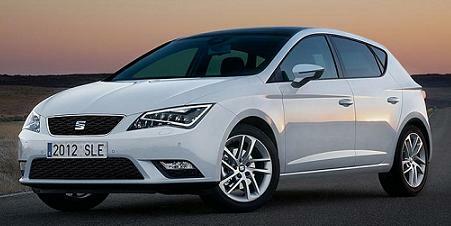 Leon FR 1.4 TSi car leasing offers above are based on a Seat Leon FR Personal car leasing and Business Lease. 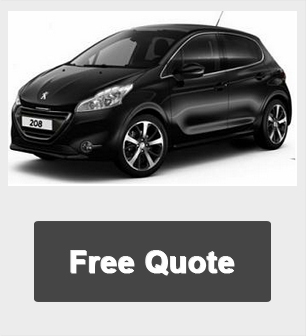 *Based on a 3 or 4 years lease term with an annual mileage of 6,000 miles. If you would like a full quotation on leasing the Seat Leon FR simply complete the quote request form above and we will send you a full business or personal car leasing quotation. 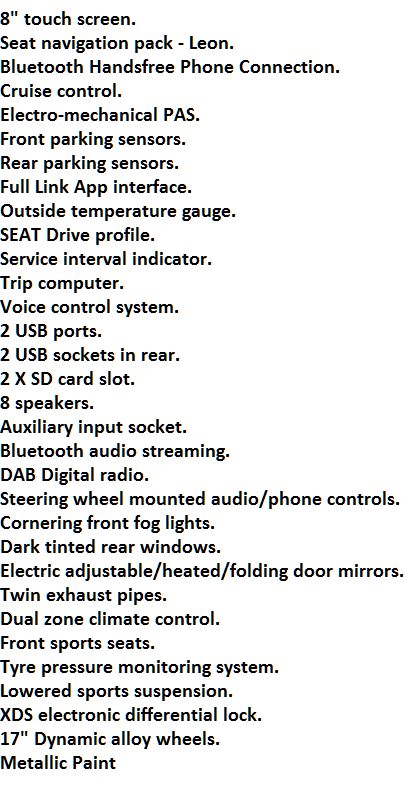 If you are happy with the quote and want to lease the Seat Leon FR just complete the application form attached to the quote and email back. Once you have submitted your application we will contact you with a decision (typically within 24 hours). Leasing a new Seat Leon FR has never been easier. We're constantly reviewing and updating our prices to ensure you get cheap rates and car leasing special offers. Vehicle pricing is correct as of time of publication. We reserve the right to withdraw any offer, service or price without notice. Errors and omissions excepted.